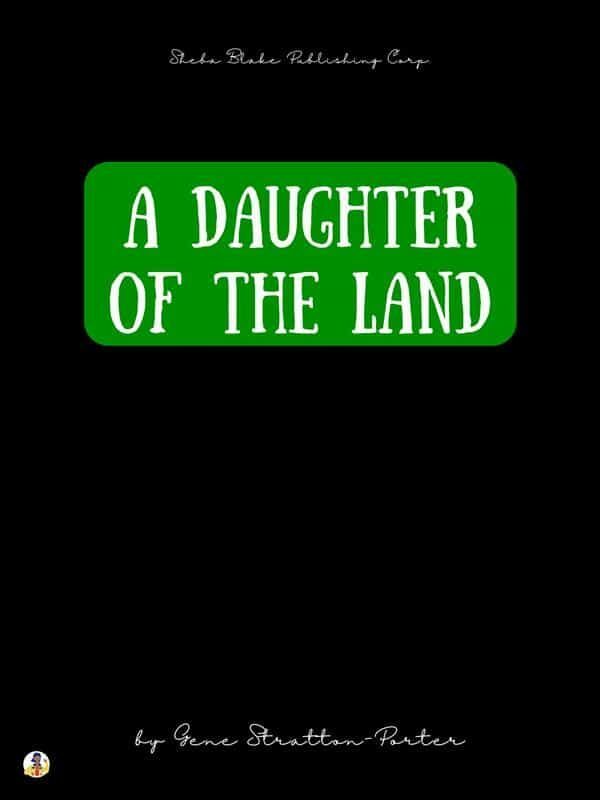 If you loved Gene Stratton-Porter's A Girl of the Limberlost, be sure to add her later novel A Daughter of the Land to your reading list. The family that serves as the focus of the novel isn't perfect, but they manage to fix their foibles and come together to make something beautiful and lasting. It's an engaging read for anyone who's ever fantasized about leaving city life behind and living off the land. Gene Stratton-Porter (August 17, 1863 – December 6, 1924), born Geneva Grace Stratton, was an American author, early naturalist, and nature photographer. She used her position and income as a well-known author to support conservation of Limberlost Swamp and other wetlands in the state of Indiana. She wrote several best-selling novels and well-received columns in national magazines, such as McCall's. Her works were translated into several languages, including Braille, and Stratton-Porter was estimated to have had 50 million readers around the world. Her novel, A Girl of the Limberlost, was adapted four times as a film, and the story of Gene Stratton-Porter herself was written as a one-woman play, A Song of the Wilderness, by playwright and actor Larry Gard for his wife, actress Marcia Quick. Although Stratton-Porter wanted to focus on nature books, it was her romantic novels that gained her fame and revenue. These generated the income that allowed her to pursue her nature studies. She was an accomplished author, artist and photographer. One of Stratton-Porter's last novels, Her Father's Daughter (1921), was set outside Los Angeles. She had moved about 1920 for health reasons and to expand her business ventures into the movie industry. This novel presented a unique window into Stratton-Porter's feelings about World War I-era racism and nativism, especially relating to immigrants of Asian descent.